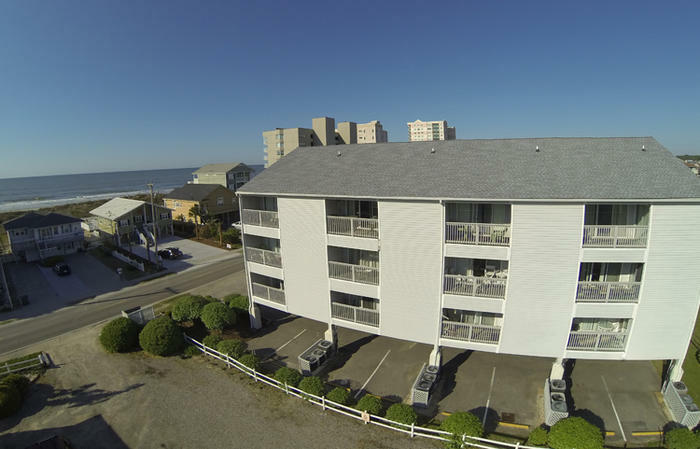 The oceanfront of North Myrtle Beach, SC is just across the street from Summer Retreat North Myrtle Beach resort. Featuring a pool deck, ocean view balconies and a nearby vast stretch of white sandy beach, this North Myrtle Beach resort is a fun-filled beach vacation destination for families! This second-row resort in North Myrtle Beach, SC has covered parking for your convenience. There is beautiful swimming pool at Summer Retreat. The North Myrtle Beach condominiums at Summer Retreat are nicely furnished and offer plenty of amenities. These two-bedroom, two-bath condominiums accommodate six, seven or eight people for your memorable North Myrtle Beach vacation. They each feature a nicely equipped kitchen with a dishwasher and a washer/dryer unit. North Myrtle Beach golf, live entertainment theatres, shopping and dining are just minutes from this North Myrtle Beach resort. Elliott Beach Rentals is not affiliated with onsite management or the HOA of Summer Retreat.